Sean Ashby continues to represent his part of our city, Queens, with his constant filming of the local skaters and the local spots in his area. This time Sean’s latest edit features himself in an online section skating all over the Queens area and Manhattan area. 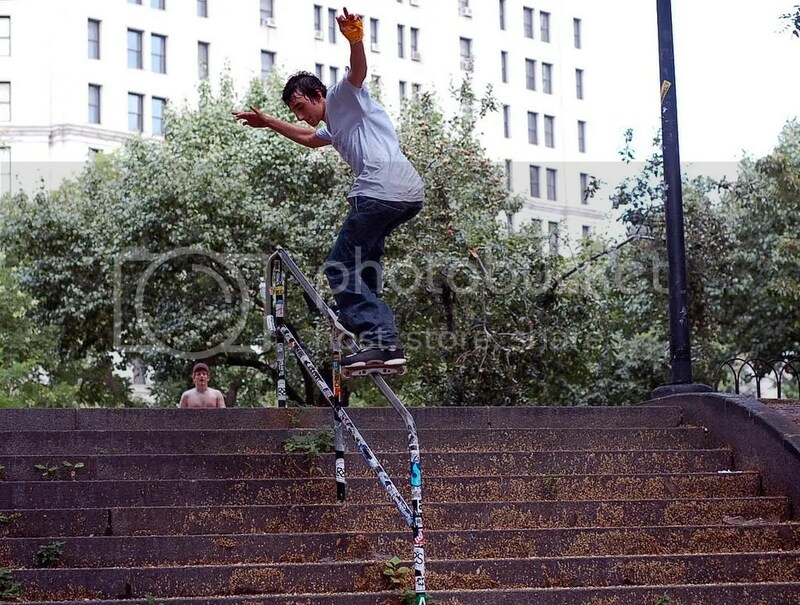 There’s a ton of sick tricks on a lot of different of spots in NYC. Check it out up top. Dipskate Team Rider Ramelle Knight put this short edit up of himself skating the now popular LES (Lower East Side) skate park located under the Manhattan Bridge. If you haven’t been there recently you can see all the upgrades they made including all of the various ledges and curved practice rails. If you have been there recently, then you know how hard it is to flow in that park but some how Bronx, NY native, Ramelle Knight, gets the job done lacing every trick with steeze and making each spin out of a trick look effortless even off of the smallest object. Check the edit up top. Danny Villaneueva aka Danny V put up this latest edit of himself killing every spot he goes to. Featuring spots all over Queens, Long Island and Manhattan, NY. Filmed by Jeffrey Mateo, Sean Grossman, and Sean Ashby. Edited by Danny V.
First time filmer and editor, Omar from Brooklyn, NY, put together this edit of himself with a few others skating some Brooklyn and Manhattan skate spots. Skaters include Sasha, Almog, Mikebob and Omar. Song is Feist – Past in present. As I said above, this is a first timers edit so don’t be cruel and show some love. I Roll NY is all about getting New York skaters out there so support your fellow rollers and don’t be scared to submit your own edits and pics. 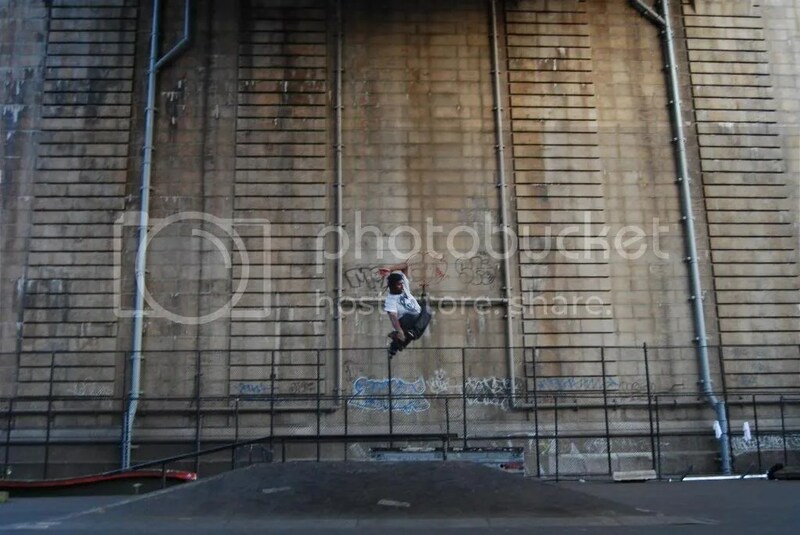 If you’re not too tired from yesterday’s Brooklyn Banks / Haven Arts gallery session the Skeptic Media crew will be at the Riverside Skate Park in Manhattan, NY getting some clips and pics. Riverside Skate Park is free to enter but pads and helmets are typically required along with a signed waiver available upon arrival of the park. The park is located on 108th Street & Riverside Drive in Riverside Park on the lower level. Take the 1 train to 110th street. Sean Ashby sends us another edit of himself skating Queens and Manhattan spots filmed by Filip Olszewski. Check out Sean’s previous edit here. If you’d like to feature yourself or someone you know on our site just submit your edits/pics/graphics…etc to our Submit Your News page. Please remember to add some additional information for your submission. Justin Benson submits a really chill and relaxed edit that goes perfect with our recent weather. Spots include downtown Manhattan spots and midtown Manhattan spots. The edit also includes Justin playing the dulcimer. First and foremost let me say thank you to Ryan for not only providing great pictures but for providing a great story to go along with them. 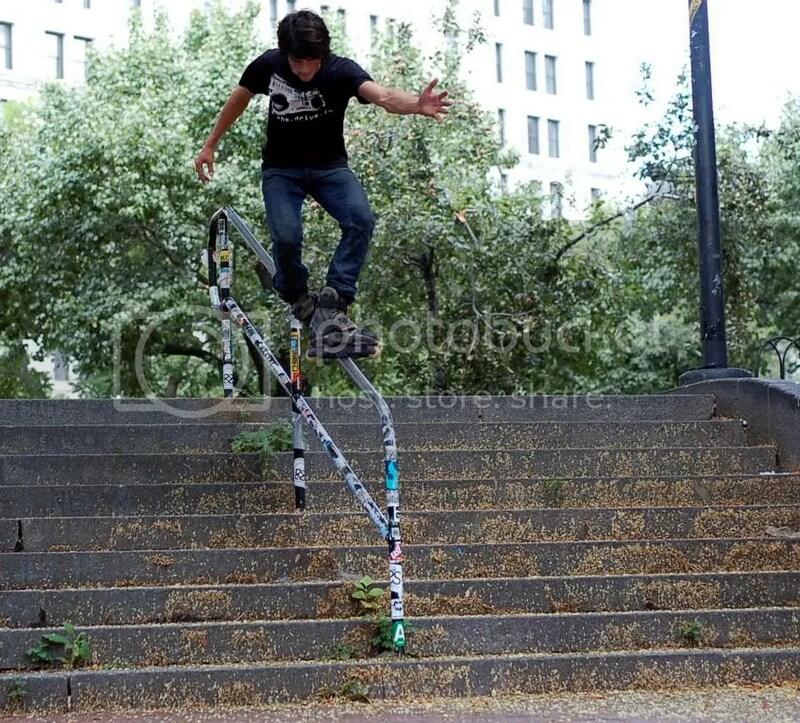 Ryan is a native New Yorker and has been rolling almost all his life. He relocated to Connecticut in 2005 but continues to go to school in Long Island for photography. He sent us two photos from the famous Brooklyn Banks and one pic from the downtown area. Check them out below along with the story he provided us. Thanks again Ryan! 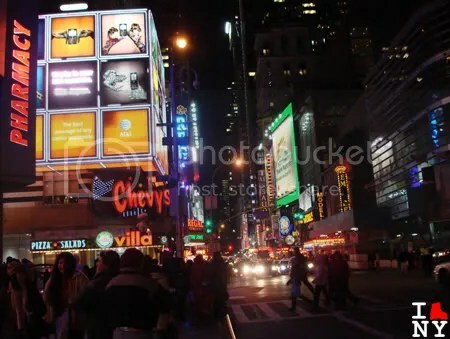 Whether you’re from New York or just visting, you know that Time Square is the number one place to visit when you’re here. Tucked away behind the glits and glamour of 42nd street though, you can find an almost perfect skate spot where the ledges are as beautiful as the scenary they surround. We here at I Roll NY introduce a new concept titled, Spot Check(ing), where we show the NY community along with outsiders and future visitors our local skate spots for your online conveinence. 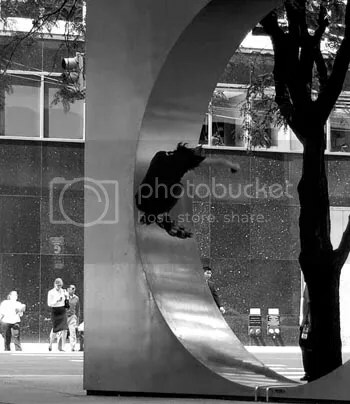 The purpose of these postings will be to show rollers in general New York area skate spots, along with pictures, and the best times to go and visit the featured spot. We hope these postings will help you with your traveling and encourage you to visit the NY area. The trains that will leave you closest to our featured spot, 44th street and 12th avenue, are the A,C,E train. 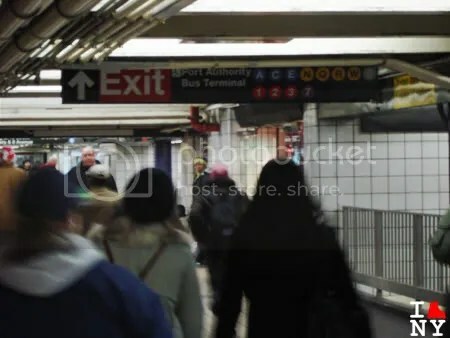 They will leave you at 42nd street and 8th ave. You may also take the N,Q,R,W,1,2,3 trains but they will leave you in the heart of the time square area filled with the typical tourist. Ignore the lights and the people that will surely be in your way and turn around and walk up the avenues. We highly suggest walking to this spot due to the many people and cars that are in the area. As well, their are typically security guards that are near the skate spot so you’ll get kicked out before you even get to look at the spot.